Scotland's Gleneagles Resort is an iconic vacation destination for equestrian enthusiasts. 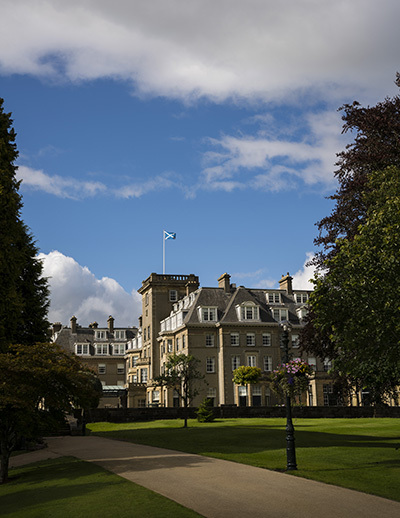 In the great UK tradition of a sporting resort, Gleneagles was established as a key destination on the social calendar in the 1920s. Recently, much of the property has undergone extensive renovations, retreiving an old, but new look. 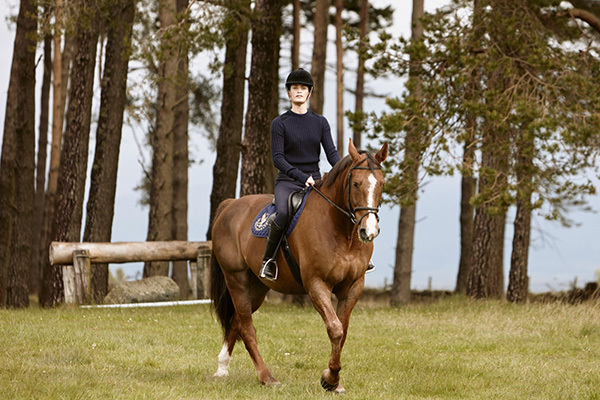 Equitrekking Travelers visit this Perthshire holiday hotspot for riding lessons, Dressage training, polo, carriage driving, show jumping, golf and the Spa. 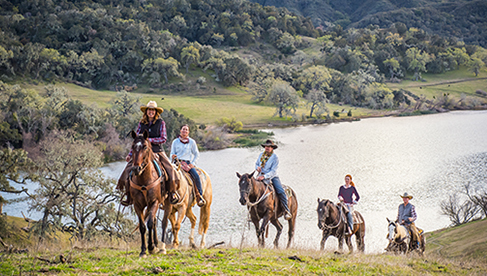 The equestrian center at this "Leading Hotel of the World" is stunning and well-equipped, covering a 50-acre site. 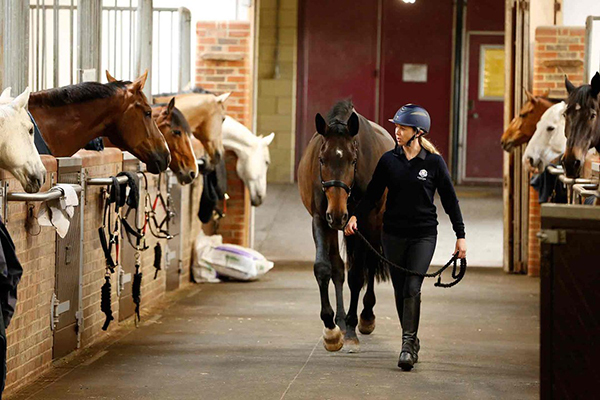 There are two covered, heated arenas, a fenced, surfaced open exercise and practice arena, seating for 700 spectators, a lecture room with audio-visual equipment and two stable yards, and house 48 horses. Leading trainers are regulars at Gleneagles, which is British Horse Society approved. 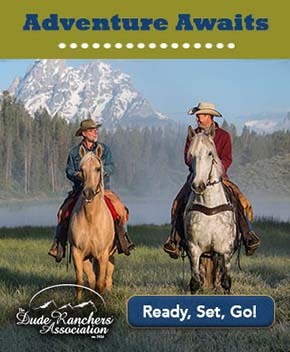 Trainers provide special clinics and lessons in dressage, show jumping, cross country, carriage driving and polo. 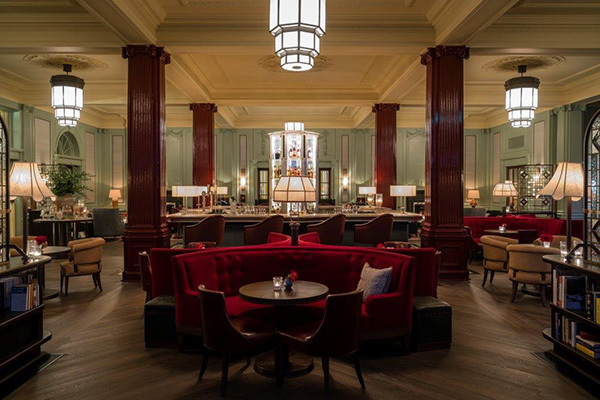 Returning guests may notice some of the design changes at The Century Bar, which has been given a major makeover. Gleneagles’ main bar is famed for housing one of Scotland’s finest collections of old and rare whiskies and has served as the social hub of the hotel for almost 100 years. It has relaunched as The Century Bar, having undergone a complete redesign by one of the leading architects and designers for luxury interior design, David Collins Studio. It's all about the details, including a 1920s-style oak-panelled bar, chesterfield sofas, vintage furnishings, and a wooden crank wall-mounted telephone from which guests can place table orders. This relaxed and fun social hub is ideal for golfers, families, couples and friends alike. 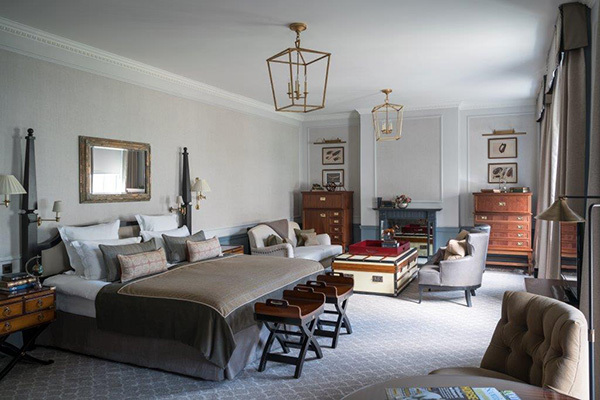 Gleneagles worked with posh design house Goddard Littlefair to revamp 35 luxury bedrooms and suites and linking corridors. The new designs connect guests to the stories of Gleneagles’ past through antiques and art, but also reflect the highest standards of contemporary luxury. Located just one hour from Glasgow and Edinburgh airports and with its own railway station, Gleneagles offers a wonderful horseback riding retreat. The hotel’s 850-acre estate epitomises the rugged natural beauty for which Scotland is famed and offers guests a glorious playground of country pursuits and activities. Whether you come to fly a Harris’ Hawk, ride horses, play golf or tennis, go off-roading, train gundogs, shoot game, fish, enjoy Michelin-starred dining, or relax in an award-winning spa, Gleneagles offers a world of experiences. 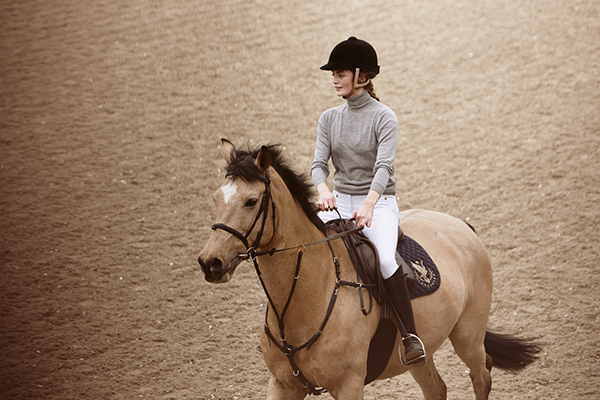 Learn about equestrian vacations at Gleneagles in Scotland, offered by Equitrekking Travel.